Here's the thing about toddlers: they seem defiant, but they're actually very susceptible to the influences around them. Meaning, you could impact your child's behavior on Halloween, just based on how you dress them. OK, OK, we don't have any real scientific proof to back this up, but doesn't it seem like it's legit? If one kid wants a truck in the sandbox, then they all do, and it doesn't matter that there are three other trucks laying around. The power of suggestion is very strong, indeed. So just think about all the ways this costume could help you out! 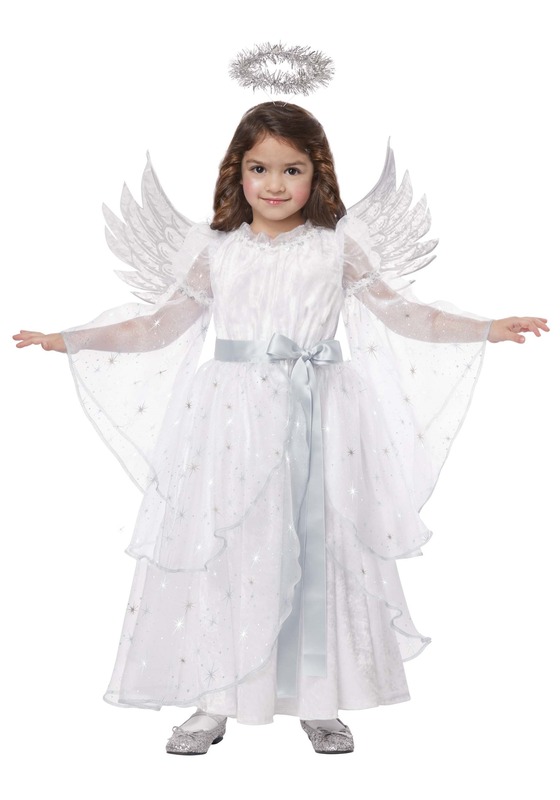 Just imagine yourself saying, "Angels don't throw their broccoli," or asking, "Do angels refuse to share their candy?" See? We told you it was a genius plan! And we haven't even gotten to the best part: this costume is so cute and fun to wear, that your little one will want to have it on all the time. 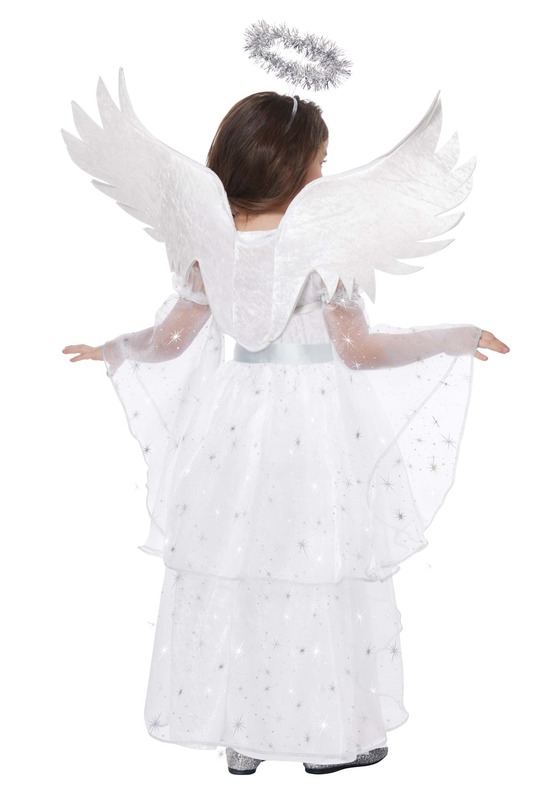 This could mean having a little angel on your hands, constantly! We don't think there's anything wrong with letting this costume help you out a bit this holiday season. It'll look as great as a Halloween costume as it will in a pageant or school play, so be prepared for a prolonged period of angelic behavior! See? We told you it would work!